Jose Berrios is quickly becoming the ace of the starting rotation for Minnesota. Those who follow the careers of Chattanooga Lookouts players are aware that in the past few years many Lookouts are now in the Major Leagues. Among these are two outstanding right-handed pitchers - Jose Berrios and Fernando Romero with the Minnesota Twins. At age 21, Jose Berrios split the 2015 season with Double-A Chattanooga and Triple-A Rochester. He went 14-5 overall - 8-3 with the Lookouts and 6-2 with the Red Wings. 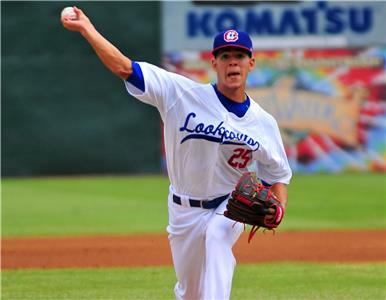 Berrios struck out 175 batters in 166 1/3 innings for both teams combined and carried a 2.87 ERA. The Twins promoted Berríos to make his major league debut on April 27, 2016. Berrios pitched phenomenally throughout the 2017 season. He had 11 strikeouts against the Colorado Rockies, which was a career high. He made his first start of the 2018 season on April 1, 2018. He pitched a complete game three-hit shutout against the Baltimore Orioles, with 6 strikeouts, leading the Twins to a 7-0 win. Berrios tied his career high 11 strikeouts on April 12, 2018 in a 4-0 win over the Chicago White Sox. In the rotation this season, he has been tremendous outside of a few poor outings in April and early May that appear to be behind him. He ranks 12th in the AL in innings pitched, which would've seemed unthinkable not so long ago thanks to his tendency to rack up high pitch counts. Newfound efficiency and control have enabled the right-hander, who turned 24 on Sunday, to pitch into the eighth inning four times in 11 starts, and into the seventh in two others. He has issued two or fewer walks in all but one of his turns. Berrios' 3.67 ERA remains in the good-not-great realm, thanks to that string of clunkers, but his recent performance feels more reflective of what we can expect going forward. And then there is the amazing Fernando Romero, who doesn't turn 24 until December. Romero spent the entire 2017 season with the Lookouts. He was watched carefully and limited since he was recovering from Tommy John surgery that led to missing the entire 2015 season. The Twins added him to their 40-man roster after the 2016 season. In 2017, with the Lookouts, he compiled an 11-9 record and 3.53 ERA in 24 games (23 starts). He began 2018 with the Rochester Red Wings. On May 2, 2018, Romero was called up by the Twins. He made his Major League debut as the starting pitcher against the Toronto Blue Jays, pitching 5.2 innings, with zero runs allowed, three walks, and five strikeouts, while earning his first Major League win. Hailed as a potential ace as he came up through the minors, Romero has somehow been better than advertised during his initial run in the big leagues. The righty has been dominant through five starts, with a 1.88 ERA that ranks third among all American League pitchers with 20+ IP. He's getting grounders at a 50%+ rate while also averaging more than a strikeout per inning – one of five AL starters to hit both marks. The Twins have two starters pitching at an elite level, which is obviously encouraging, but what's really exciting is that it's a duo of young, controllable former top prospects with stuff and pedigree to match. The emergence of Berrios and Romero as a one-two punch atop the rotation is legitimately the best development to come along for this unit in more than a decade. We in the Chattanooga area were fortunate to be able to watch these two young pitchers as they were developing while pitching at AT&T Field. 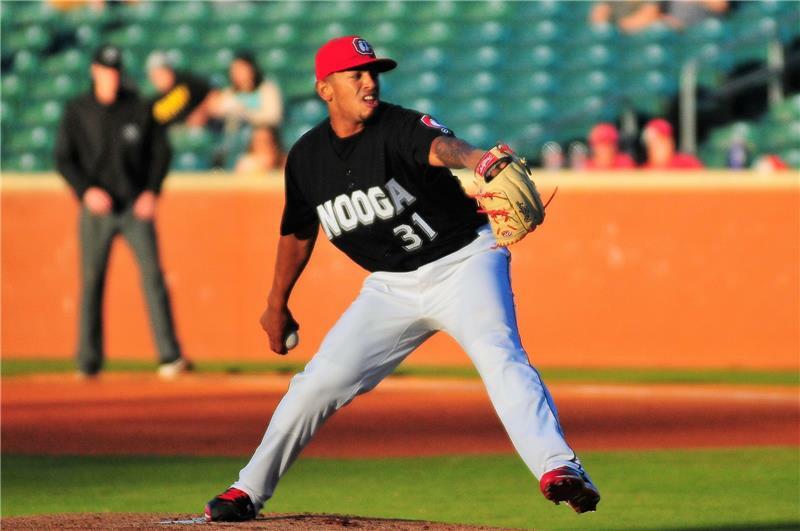 Fernando Romero spent the entire 2017 season with the Lookouts.